Installing solar panels is a great way to generate your own electricity. They’re usually fitted on the roof of your house and use energy from the sun to make electricity and power your home. 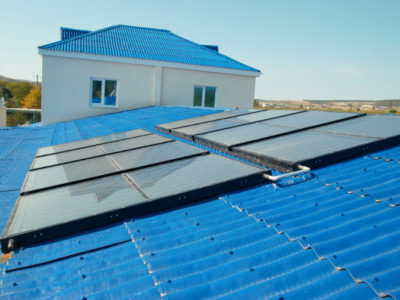 There are several different sized solar panel systems, so you can choose a suitable one for your property. The 2kW solar panel system needs around 14m² of roof space. It generates about 1700kWh of electricity per year, which is more than enough to power an average kitchen for a whole year. But is the 2kW system the best solar panel system for you? To help you decide, we’ve compiled a list of its pros and cons. 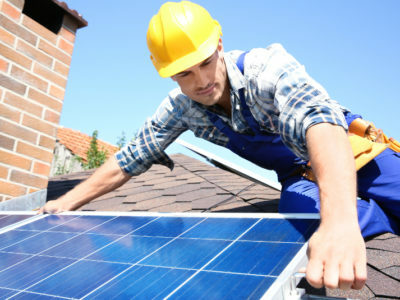 A great benefit of solar panel systems is that they generate free electricity. Sunlight is free, so the electricity that it creates is also free. Installing solar panels is a fantastic chance to generate free electricity, especially given the high charges that many power suppliers impose. 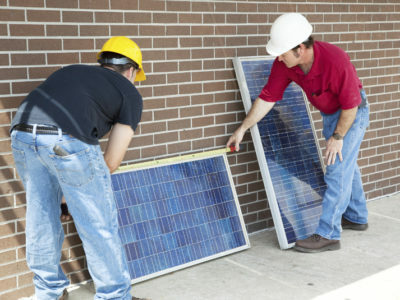 Installing solar panels will also help you lower your carbon emissions. The generation of most mains electricity contributes to carbon levels in the atmosphere. But the generation of solar power doesn’t. So by using solar power instead of electricity from the mains, you’re reducing your carbon footprint. Generating power through solar panel systems can also lower your electricity bill. This is because the free solar power that you generate replaces the electricity that you buy from your power supplier. So having a solar panel system reduces how much electricity you need to pay for and reduces your electricity bill. A great reason to install a 2kW solar panel system is that it’s one of the cheaper domestic solar panel systems available. It’s less expensive than both the 3kW and the 4kW system. So if you want to install solar panels but don’t want to pay too much upfront, you may want to choose a 2kW system. A downside to the 2kW solar panel system is that it’s more expensive than the 1kW system. So if you want the cheapest short term option, the 2kW system probably isn’t for you. The 2kW system only produces a relatively small profit. Bigger systems cost more, but they produce a larger long-term profit. A 2kW system will earn you half in electricity bill savings compared to what you could make with a 4kW system. So if you want to save as much money as possible, you should consider installing a bigger system. So the 2kW solar panel system has both pros and cons. If you want to install it and are looking for a contractor to help you, fill in our online form. We’ll connect you with up to 4 professionals in your local area. Or to find out more about other solar panel systems, take a look at our information on 1kW, 3kW and 4kW systems.